Dear readers! 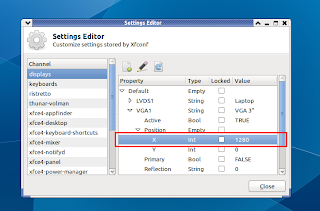 Recently, I have switched to XFCE (Xubuntu) because my Unity interface runs very slow on my computer, especially when running Netbeans IDE to do my college assignment. XFCE is a lightweight desktop environment for Linux, compared to Unity, XFCE is more and more faster! So today, I'd like to share my experience using XFCE to you. 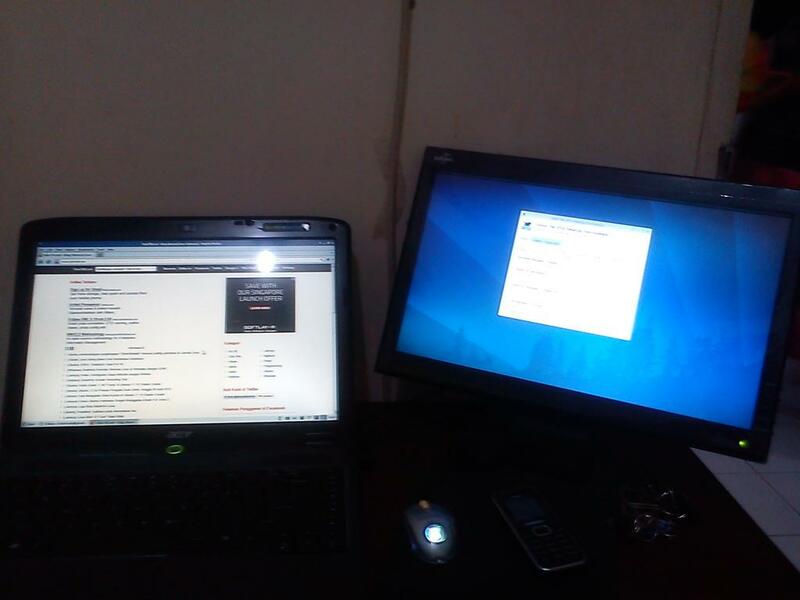 OK, let's start with dual monitor setup on XFCE (Xubuntu). I have two monitors: main display on my notebook has 1280x800 pixels resolution, and my second display (LCD monitor) has 1366x768 pixels resolution. We are going to place the second monitor at the right of the main display (as seen at the picature above). OK! Let's do this. 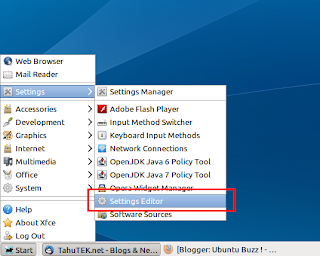 Open the "Settings Editor" by clicking the application menu > Settings > Settings Editor (see the image below). In the Settings Editor window, select "display > Default > VGA1 (may be differ from yours) > Position" and double click do the "X" item. Please fill in the form to match your screen resolution. In this case, the width of my main display (laptop monitor) is 1280, so I fill "1280" in the value field. Please "Save" and check if everything is done well. Now, please log out, plug your second monitor to the PC or Laptop, and do login action. If you did it well, you should have second display on the right of your main display.